We are engaged in offering supreme quality Industrial Boilers that are ideally used in chemical, oil, gas and various other industries for creating steam by applying heat energy to water. The technologically developed boiler range is made from supreme metal alloy ensuring robustness in built. 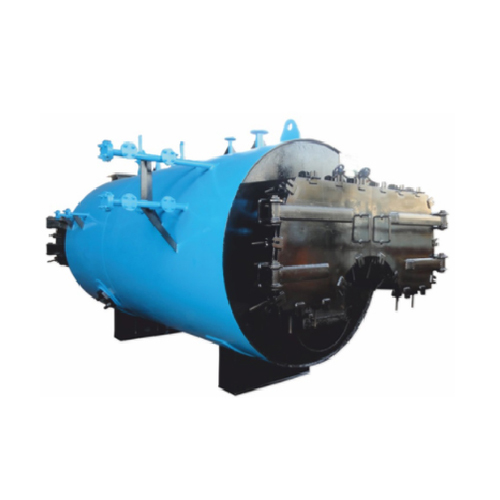 The industrial boiler, we offer is cylindrical in shape and is free from corrosion and highly heat resistant. Here, the flame and high temperature flue gas flows from the front to the back of the furnace radiating heat to the water wall. After that, high temperature flue gas baffles from the back of combustion furnace to the convection tube bank going through a convective heat transfer process. These operate without making any noise and vibration and are widely demanded throughout the country. With the help of technological advancement, our company is involved in offering superb array of Steam Boilers that is chiefly used for the production of electric power. These operate at supreme temperatures, where boilers vaporize the water and then further heat the steam in a superheated device. This makes steam at much higher temperature, but can decrease the overall thermal efficiency of steam generating plant. This results in lesser fuel use, making it fuels efficient.